Much of the debate in the UK, pre and post the referendum, has been on the single market and freedom of movement. Gender has been all but cleansed from the Brexit political and media discourse, with barely a mention of investment in women’s equality, the social infrastructure and the institutions that might guarantee progressive gains from gender mainstreaming. Critically, the UK, has no comparable influential institution. The Women and Equalities Committee is a new select committee and its influence is not embedded in the decision-making structures and funding mechanisms across government. The Women’s Commission was closed down by the Coalition Government, whilst the influence of the Equality and Human Rights Commission (EHRC) has been eroded over time, with significant cuts in staff and funding and thus significant limitations on its ability to deliver strategic change. Gender mainstreaming and the positive promotion of gender equality are barely represented by the public sector’s duty to undertake equality impact assessments and to curb discrimination. And so, new legislation is required, together with empowered institutional bodies, scrutiny across all government departments, and civic participation in decision making. This has been recognised by the Women and Equalities Committee that recently invited written evidence on ensuring strong equalities legislation in preparing for an EU exit. Many of us responded, alerting the committee to the dangers ahead, knowing that without political and institutional commitment at all levels of decision-making, women’s equality indicators with regard to equal pay, low income, vocational training and caring responsibilities, will deteriorate even further. The Committee has responded positively to wide-ranging submissions, but it remains to be seen how the government will respond, beyond the assertion that equality legislation will apply once the UK has left the EU (see below). The Minister for Women and Equalities responded saying protections in equality legislation will apply once the UK has left the EU. My involvement in grassroots participatory action at an EU level came about through the setting up and development of the Single Parent Action Network under the Third European Poverty Programme. It brought me to interface with some of the political institutions of the EU – the European Commission, and the Committee on Women’s Right in the European Parliament. I also became involved with some of the lobbying groups and networks – the European Anti-Poverty Network, the European Women’s Lobby, and helped to set up and coordinate the European Network for One Parent Families. Over time, I developed an interest in participatory research and in this process interviewed women involved in some of these networks. This research showed that many social initiatives funded by the European Commission were designed to sustain political and economic cohesion in a capitalist system. Nevertheless, transnational emancipatory movements continue to have some room for manoeuvre in an EU setting, with the potential, whatever the struggles, for furthering liberationist democracy at an international level. (2) Within this arena, cross-national pressure from social democratic parties and emancipatory movements has also helped to create greater potential for gender mainstreaming in the EU. This has, in turn, had an impact on a vast number of funding streams, programmes and projects administered by the European Commission. Gender mainstreaming is a far-reaching commitment. Tools include gender disaggregated statistics, equality indicators, gender impact assessments (which Theresa Rees describes as a tool rather than gender mainstreaming per se), gender monitoring and evaluation to assess progress, engendered budgets, and “visioning” rules, customs and cultures – or identifying and challenging institutional sexism. These tools are underpinned by principles of social justice and democratic responsibility. They involve consulting women and encouraging women’s civic participation in the shaping, framing, designing and delivery of policies, with transparency in procedures, processes and outcomes, gender balance in decision-making, and more equal outcomes as well as equal opportunities. (3) Women, and men, are regarded not just as adult workers, but those with caring responsibilities, for children and elderly relatives, supported by a human infrastructure that pays due regard to these roles. I’m on the Board of the Women’s Budget Group which scrutinises government economic policies and in this capacity, I know just how difficult it is to further gender mainstreaming principles and mechanisms, even with the support of an EU regulatory infrastructure. Without recourse to EU regulatory controls, and influence, what will we have to fall back on? Much of the funding to further gender equality has been in the fine print. So that even if the UK government commits to reinstating funding to communities/universities/areas etc that benefited under the EU, this does not mean that gender mainstreaming initiatives will continue to be embedded in this funding. Over the next few years, women’s organisations, voluntary organisations, local government representatives, academics and union representatives will all need to conduct audits, accounting for what we have achieved so far under EU rules and funding streams at local and national levels, and how these can be replicated. As well as targeted programmes such as Daphne, Horizon etc. there are a great deal of EU procurement initiatives, rural and urban, including investment in the social infrastructure, that are buried in the small print. 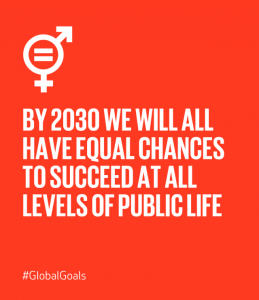 Policy analysis is needed that is quantitative and qualitative, that addresses paid and unpaid work, childcare and social care, violence against women, gender imbalances in decision-making and that helps address the intersection between class, ethnicity, gender, disability and age, and how women’s poverty is addressed within these intersections. If the UK is to hold onto the gains made towards women’s greater equality when a member of the EU, there needs to be institutional commitment to tracking how gender mainstreaming is presently enmeshed in EU legislation, funding streams, procurement and commissioning. There also needs to be agreement that comparable measures will be replicated across the UK. Like many, my very sense of self, of being in the world, was fundamentally shaken by the referendum vote. Post referendum, rather than succumb entirely to existential crisis, I joined with an alliance of South West grassroots women’s groups, feminist politicians and academics from the University of the West of England and Bristol University. Together we are about to launch WEUR, the Women’s EU Rights Campaign. Although women involved in social action are often hidden from view, there are times when they come together with a body of understanding and experience in order to seize the moment, claim the space and bring political and embodied experience into the public arena. It feels like this may be one of those moments. 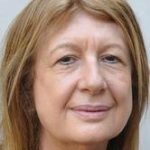 This entry was posted in Governance and public services, Social change and diversity, Uncategorized and tagged brexit, equality, EU, gender, gender mainstreaming, SDG, women, women and equalities committee by policybristol. Bookmark the permalink.